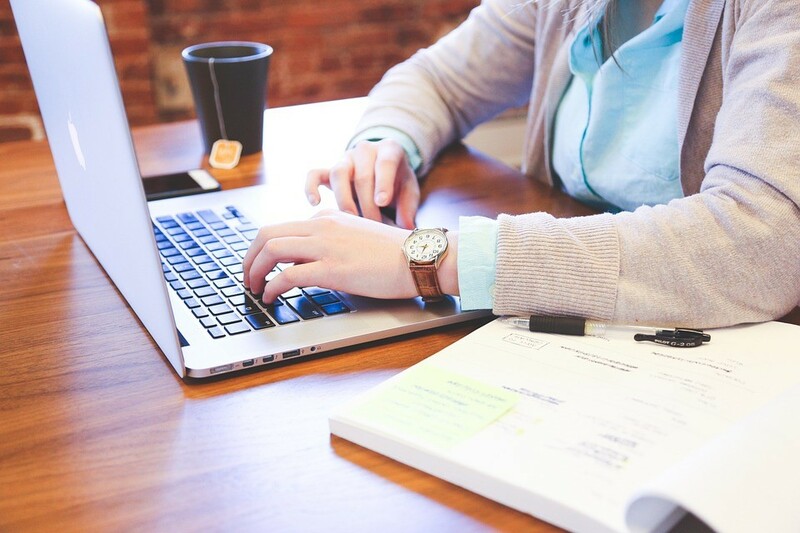 Be ready to write a persuasive and effective CV. 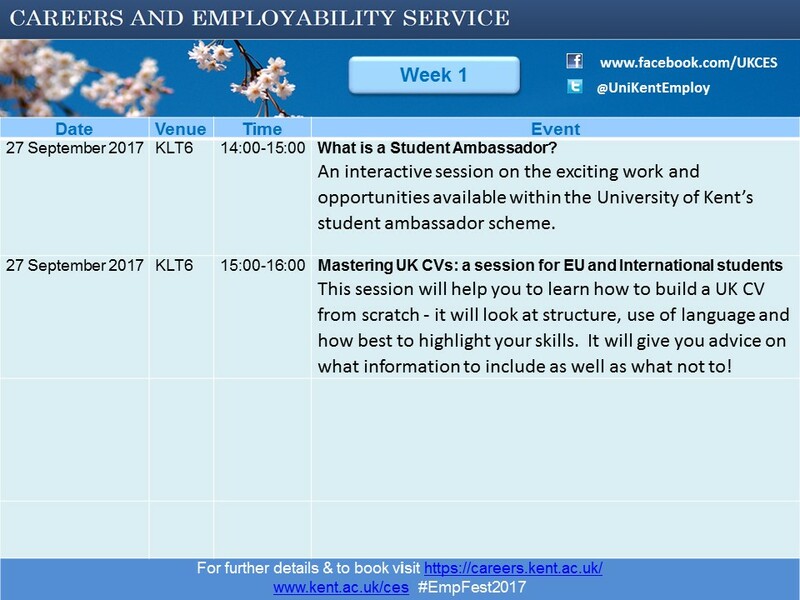 If you have any questions about this workshop, please feel free to contact us at studyplus@kent.ac.uk. Click here to book your place via SDS. 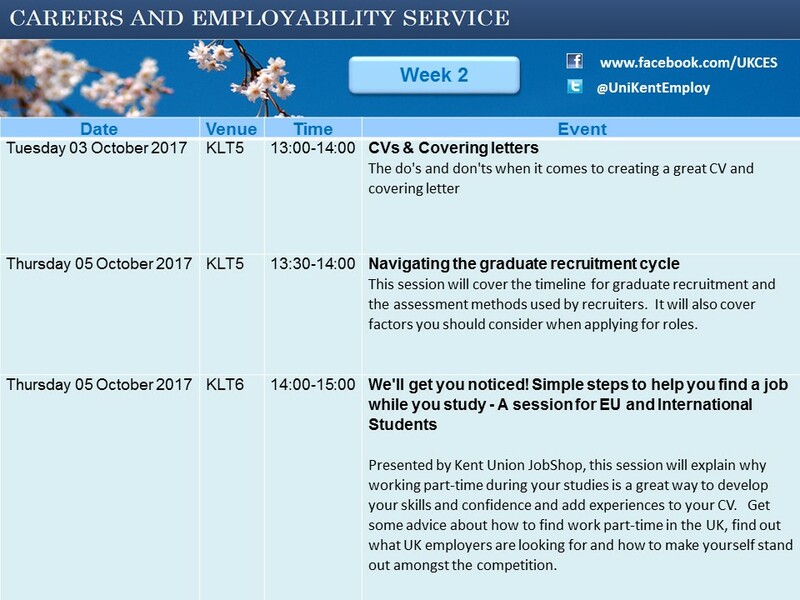 The Careers and Employability Service is currently running their annual CV Competition, sponsored by Santander Universities. 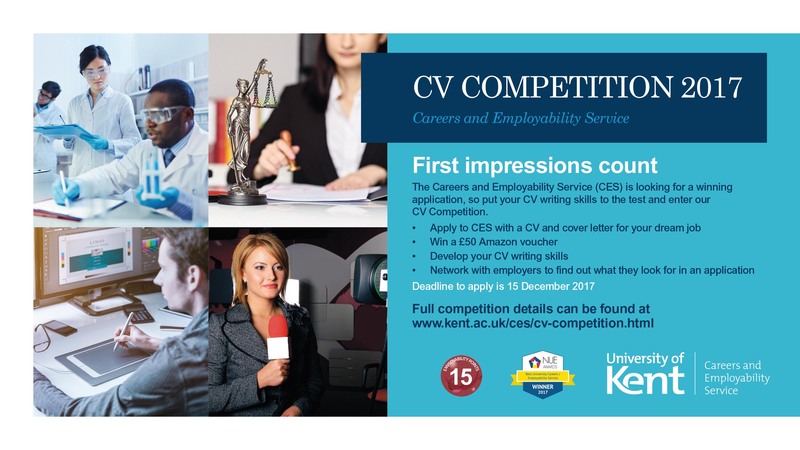 All you have to do to enter is submit your CV, and if yours is judged to be an example of really good practice and presentation, you could win a two-week work experience placement with a range of different employers. This is a great incentive (if you need one!) to get your CV up to date and ensure that it is the best representation of your skills and experience it can be. Head to the CES website for more information, how to apply, and the companies the CES works with to provide the work experience placements.